An application has been submitted to the Federal Aviation Administration to build a project at the One River Point site. According to the application, the tallest height is planned to be 817 feet above ground, or 827 feet above sea level. In 2014, Rafael Vinoly Architects applied for and received FAA approval for a building height of 928 feet above ground on the same property. It was set to expire in September 2018, unless construction was underway by then. 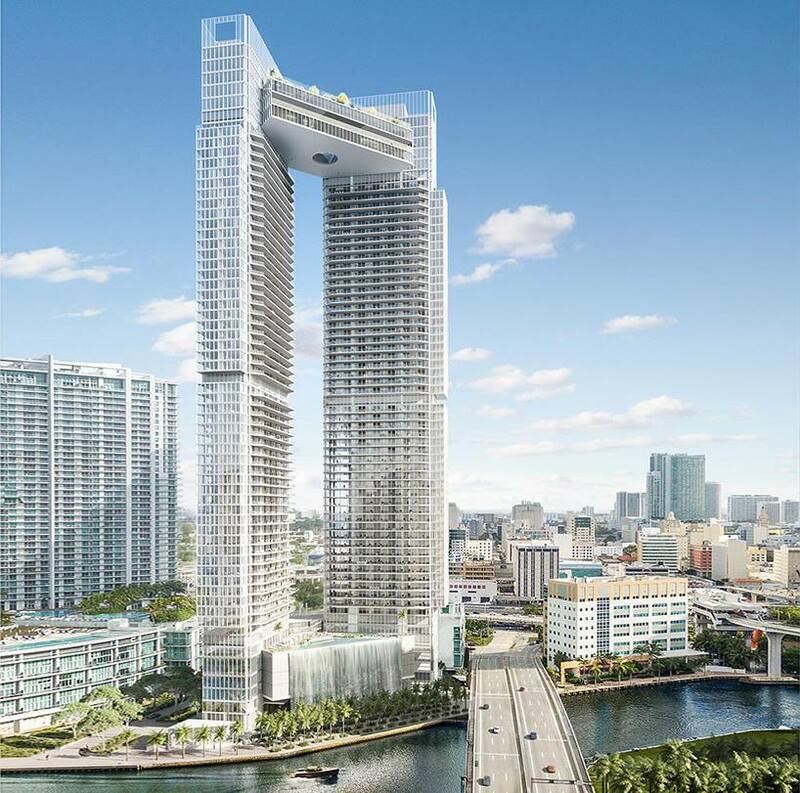 Developer Kar Properties first revealed plans for the twin 60-story tower project called One River Point 2015, but has missed several announced construction start dates since then. I think the people who say “This one isn’t happening” may be correct. This article is really confusing. Is this the project we see in the rendering that the TNM is talking about because we know about that project, or was there another project that was submitted to the FAA? Nice design. Wish there was more glass. The repetitive look of the rest of Miami detracts from an otherwise outstanding design. This is a gorgeous structure. Is it the same design now that the towers went from 928 FT to 817 FT ? Not convinced that it was ever 928. Never looked that tall in the renderings. It’s not gone happen. It’s s joke that development. Damn The Ivy is getting screwed haha better sell asap those river views are gonzo! This is a gorgeous project that should connect the riverwalk on that side all the way through the future Adler project next to the Wharf – the river is where it’s at!! Compared to Ocean views in Miami the river looks like a little dirty pool. Many Ivy units will still have river views through the gap. Frankly, the ones which won’t already don’t based on their angles. Completely out of scale with the area.